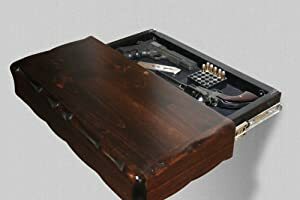 Hidden Compartment Furniture & Secret Concealment Furniture in 2019! In the world there are many things that have been shrouded in mystery for several centuries. Apart from the historical mysteries, each of us has our secrets. To make your secret inaccessible to someone else’s eyes, there is an interesting way to protect your home and office from unwanted theft. We offer you an overview of the ten best pieces of furniture with little secrets inside. 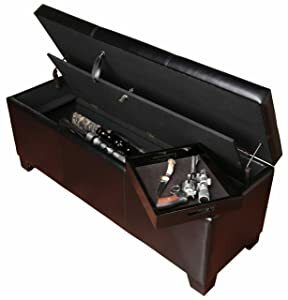 Just you will know that if you open a coffee table or unlock the cabinet there will be important valuables, because in small compartments you can store weapons (see also best hidden gun safes), papers, money, and jewelry. You can think that thieves who have seen detective second-rate shows can guess that some detail does not fit into the interior, but our products were made according to the latest word in the modern design, and will easily fit into any interior. Even if you have a small apartment or a small office, we have something to offer you. Below is an overview of the top ten of the ideal, in our opinion, pieces of furniture that have hidden compartments and places for saving. This one classical table will completely fit your room or office and make it cozier. The table is multifunctional if you use it as a safe. There you can hide papers, weapons, remote controls and other important things. Storage compartment under table top. This piece of furniture could be used as a nightstand in the bedroom or end table in the office next to the chair. It is very multifunctional, it has electrical compartments for cup and also you can put your alarm clock there. Behind the table there is has a hidden place where you can keep papers, weapons, jewelry etc. Form and function served at the chair side with rich style, decorative hardware, power port and hidden twin cup holders. Made of veneers, wood and manmade wood; hand-finished. 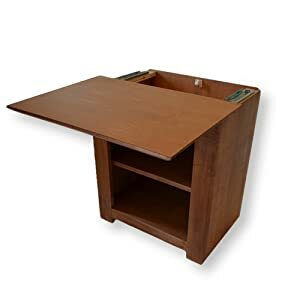 Flip-top compartment with 3 electrical outlets; power cord, UL-listed, plus pull-out tray with 2 recessed cup holders and remote control holder. 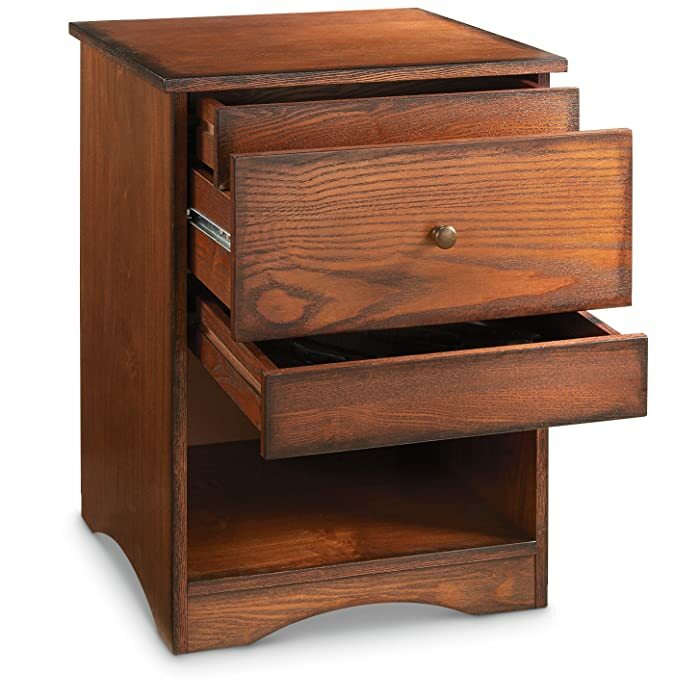 The usual nightstand also can have a hidden place – you just need to open it up. It is quite a big compartment to hide keep papers, weapons, jewelry, money and credit cards. The color of the table is pleasant, so it will fit your bedroom. Made in The U.S.A by skilled Amish craftsmen. Perfect for storing heirlooms, wills, rare collectibles, emergency cash, and much more. Made from solid oak, veneer core oak plywood, & high quality Sherwin Williams finishes. 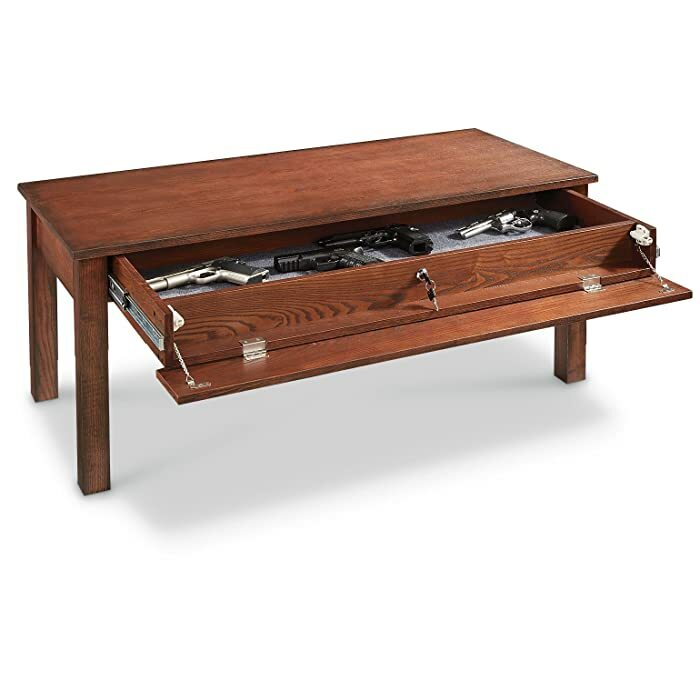 This table has a couple of secrets: two hidden pull-out drawers for hiding guns or important valuables. 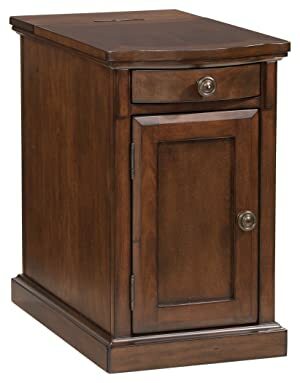 The larger main drawer holds remote controls, magazines, and other everyday items, and gives no hint of its felt-lined little brothers above and below. Felt-lined concealment area protects against scratches. Made from MDF and wood veneer. 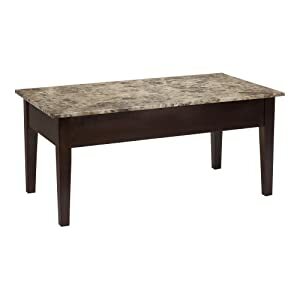 To anyone else, this is just an ordinary coffee table. But inside, you’ve stored a little something for your protection. This attractive, functional Coffee Table has a stealthy secret: locking pull-out drawer for hiding guns, papers, weapons, remote controls and other important things. Medium-density fiberboard and wood veneer. Magnetic side panel pushes in and drops down for access to locking slide-out drawer. Includes key for locking drawer. This shelf is suitable for any room, very easy install, has a few colors to fit your room design. It has a big box inside to hide your valuables, weapons, keys etc. 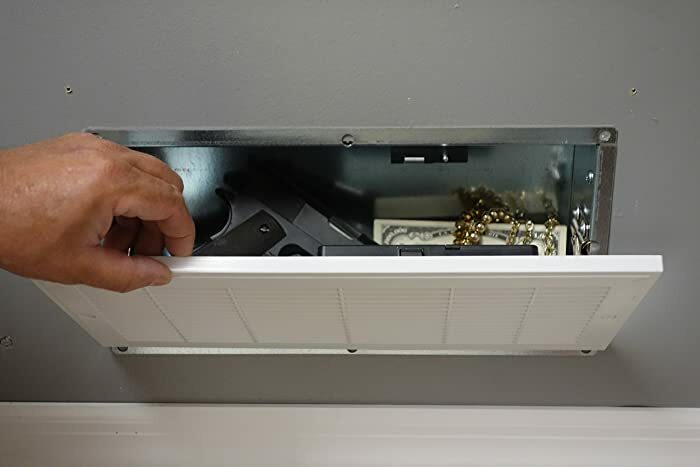 Easily hide firearms, valuables and more in a secure and decorative manner. 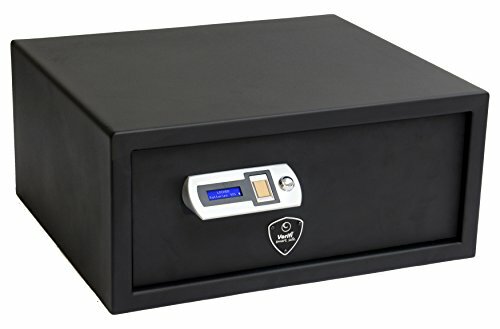 Uses our patented locking system to ensure your valuables are safe. Doubles as a night stand or hallway shelf for easy and quick access. 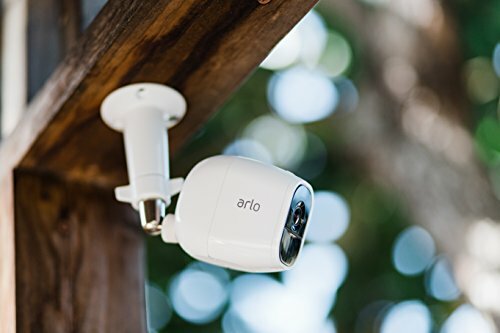 Easily installed, comes with easy to read instructions, plus a step-by-step video installation guide on our website. 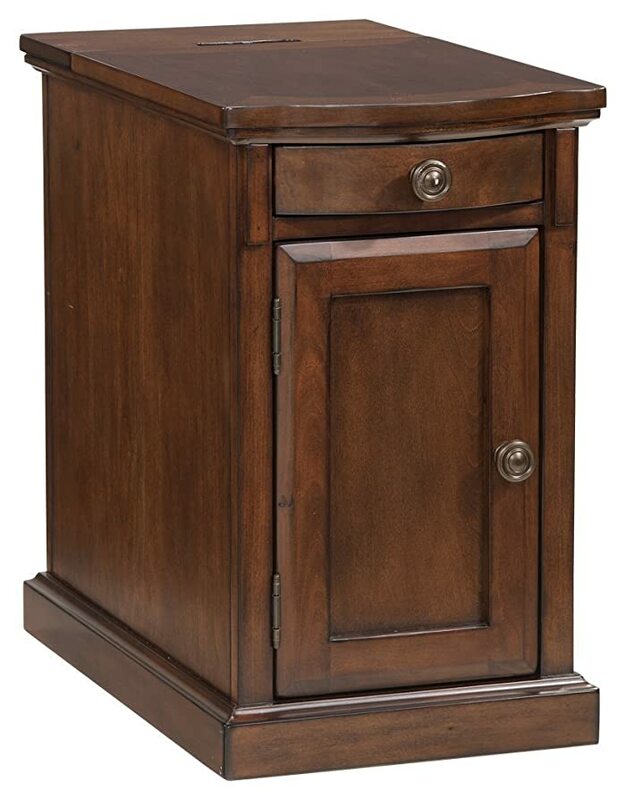 Very elegant nightstand can protect your valuables or firearms without ruining the look and feel of your home. It looks very stealthy. Made from solid oak, has a magnetic screwdriver, a simple set of instructions, and batteries for it. 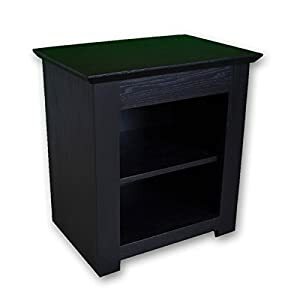 This easy to assemble cabinet is a great addition to any room. 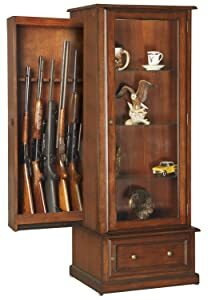 Hidden behind the tempered glass curio display area is a sliding cabinet that accommodates your collection of rifles or shotguns. 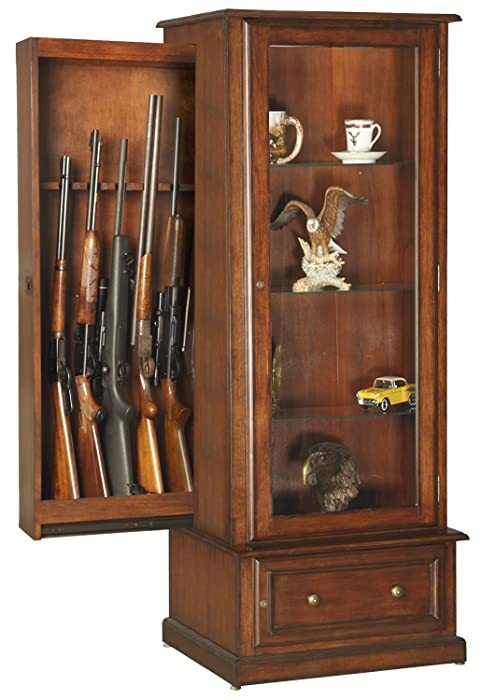 It unlocks by using two keys which make the cabinet more protective for your guns. Sliding gun storage behind curio display area. Exclusively designed gun slider lock inside curio display area. Lighted curio display area with glass shelves. Locking storage behind lower door. Tempered glass and adjustable shelves. The bench could be installed in different rooms of your apartments and made this safe place for the guns and other valuables. The gun concealment bench provides a clever way to store your firearms with room for up to five long guns. A removable wood tray is also provided for handguns or other accessories. 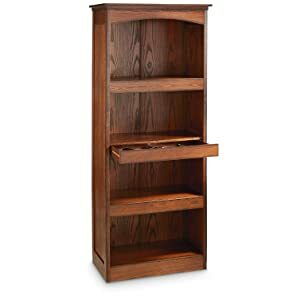 The bookcase is very good to use as usual bookcase, to put figurines and photo frames on to make your place cozier. But no one will know that the bookcase has an incredible place to save your secrets: papers, weapons, jewelry, money and credit-cards.